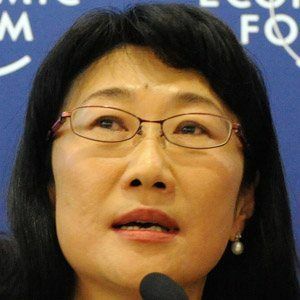 Co-founder and chairwoman of the HTC corporation, manufacturer of one out of every six smartphones sold in the United States. She studied economics at UC Berkeley, receiving her Master's degree in 1981. She was hired by First International Computer in 1982. She was #56 on The World's Most Powerful Women list from Forbes in 2012. Her father Wang Yung-ching was another successful entrepreneur and founded the Formosa Plastics Group. Her smartphones outsold the ones that were developed by Steve Jobs and Apple.